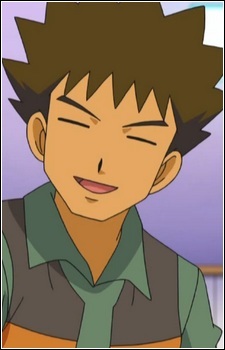 Takeshi is known as 'Brock' in the English Pokémon series. He is the former gym leader of Nibi (Pewter) City who gives up his position to travel with Satoshi (Ash) and Kasumi (Misty) on their journey to catch Pokémon. He aspires to become a top class breeder.He has a weakness for pretty girls and ends up either getting dragged away by Kasumi, Max or stabbed by his Croagunk. At the end of Diamond and Pearl, he's decided to part ways from Dawn and Ash to become a Pokemon Doctor.